Scene of the Crime with Author Esri Allbritten! 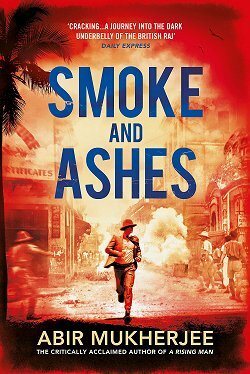 As I read Esri Allbritten's The Portrait of Doreene Gray, I had a feeling that this would be one author that I'd love to get to know. As you read this interview, I think you'll agree. 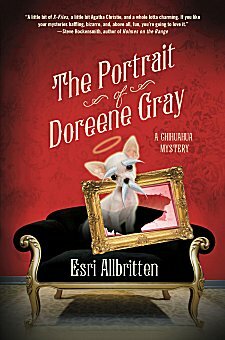 Esri has written two books in her Chihuahua mystery series-- Chihuahua of the Baskervilles and The Portrait of Doreene Gray, and Jokers and Fools is available on Kindle for $2.99. If that weren't enough, she also has a free Christmas story available at Smashwords, 'Twas the Chihuahua Before Christmas. 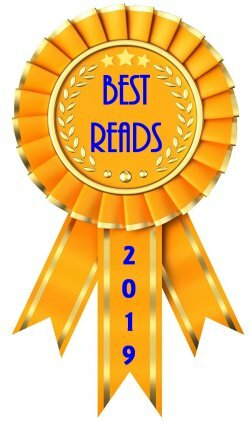 In the mood for a fun story with a great cast of characters? I've just given your four links: choose one, choose all! Now let's get to the fun stuff-- the interview! That would be Harriet the Spy. 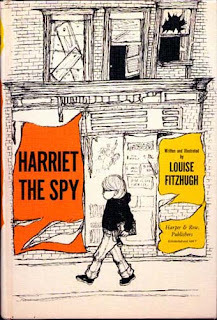 I was in third or fourth grade and already keeping a journal, but reading Harriet the Spy revolutionized my journaling for a time. Unfortunately, this took the form of bitchy, derivative comments about my classmates, but there’s nothing wrong with imitative writing as long as you move past it, and as long as you’re only eight years old. Harriet the Spy clarified something that I was already beginning to suspect: writing is simultaneously one of the most self-indulgent things you can do while still being one of the most noble. 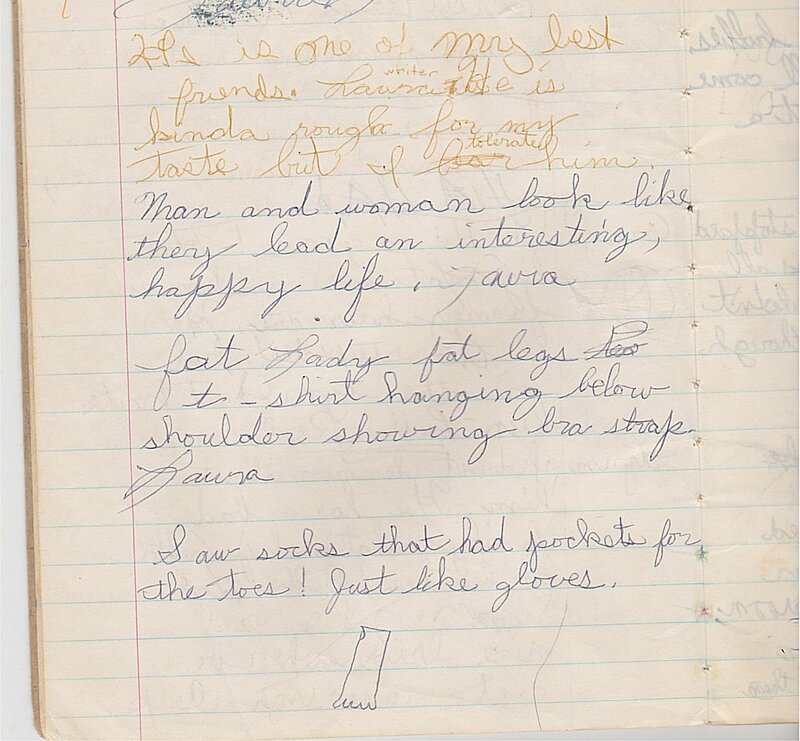 Writers, whether they write short form or long, fiction or non, are documenting the world. That documentation is what has allowed humans to build relationships between countries, progress in technology, medicine, you name it. Harriet was a typical writer. She was a putz, doing important things. Sing, play guitar and write songs, play marimba (my husband and I have just started classes), travel, play with my cat and dog, watch TV, play dress up, go out to eat with friends, watch live theatre. Boulder has a pretty high tourism quotient, so there isn’t much that isn’t covered in a guide book. I’d suggest having tea at the Dushanbe Teahouse, which was a gift from our sister city in Tajikistan. Go bowling with students at the CU lanes. See an unknown band at the Catacombs. Check out one of the public bikes and ride on the bike path. Hang around the door of a medical marijuana dispensary and ask people coming out if they have any leftovers. Emma Stone as young me, Sandra Bullock as middle me, Diane Keaton as older me. We’re doing my whole life, right? Because I’m so very important. As a bonus, I’ll tell you that my favorite movie portrayal of a writer is Emma Thompson in Stranger than Fiction: the pajamas day in and day out, the nasty personal habits (spitting into a tissue and then putting her cigarette out in it), imagining what different methods of dying are like…then she cleans herself up and goes out to promote. Brilliant. Sherlock Holmes. He’s so wonderfully flawed, and also a great example of how a fictional character can take on a life of its own and enter the public sphere. Harry Potter and the Sorcerer’s Stone, because Rowling owns a frickin’ castle now. From a less mercenary standpoint, there have been lots of books. 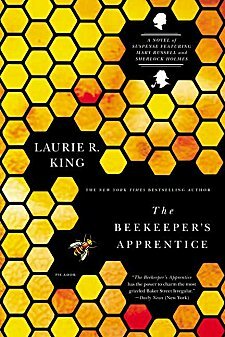 I’ll say Laurie King’s The Beekeeper’s Apprentice, because the first several books in that series are jewel-like in their perfection, and they’re fascinating history, too. 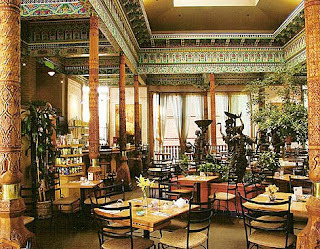 My husband took me to the Flagstaff House restaurant, which is in the foothills and is known for the food and the views. After eating lobster-stuffed squash blossoms, I ordered the chocolate sorbet for dessert. When it came, it was a perfectly egg-shaped scoop with a layer of gold leaf on top. There were probably raspberries or baby bunnies on the edge of the plate, too – I don’t remember, because I couldn’t get over the gold. I took a bite. Me: (giggling hysterically) I’m eating gold! Joe: And later, you’ll be pooping gold. (giant grin) Classy! This perfectly sums up everything I love about him. I was pretty excited when I saw my first book in our local grocery store, but honestly, it was a bigger thrill when a friend told me I was on Amazon. To be listed on the same site as Jane Austen and discounted incontinence pads…it doesn’t get any better. Parnell is great. I had “King of Kindle” stuck in my head for a week. The idea behind signings is that, in exchange for bringing a bunch of friends to the book store, the staff will promote your book to the walk-in trade. The problem is, most authors don’t have gobs of real-life friends, in the same way that badgers aren’t known for throwing parties. So I’ve definitely had my share of “nobody there” signings. But I’ve also had signings that let me know my friends are real gems. Here’s the one that really stands out. I have a buddy who used to live in Boulder but now lives in Denver, so we mostly see each other online. I’d forgotten to tell him about a signing near him, but he saw it mentioned somewhere. He showed up at the book store missing a front tooth and with a gash on his face. His epilepsy had flared up that day and he’d had a seizure, but here he was at my signing. I thought, “This man is a much better person than I am. I’m not worthy of this, and I love him so much.” I wish everyone could have an experience like that, although not at the cost of someone’s tooth. I love ebooks. I love the way they don’t smell, and the way they don’t look on my shelves, which I use for other things, and the way the ink doesn’t get on my fingers and the cover doesn’t get dinged. 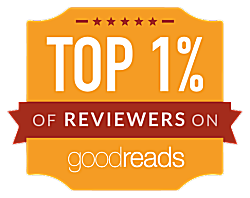 I was one of the first 70 people to get the free Kindle app on my PC, and now I have it on my smartphone. I buy more books than I ever bought in paper. I adore ebooks. The worst things about ebooks are technological bugs that I’m sure will be worked out. 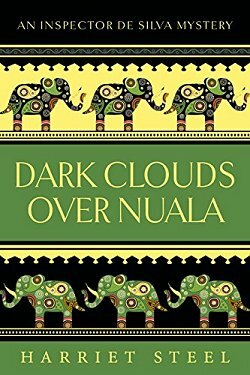 I’ve self-published one book on Kindle (Jokers & Fools), and the formatting process is clunky. Graphs, charts and sidebars are still likely to appear too small to read or with the edges missing. 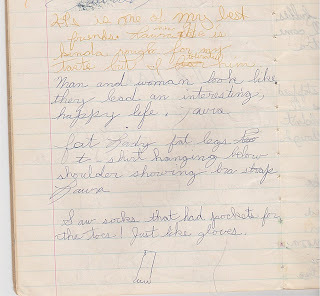 I look forward to the day when I can drag and drop photos, videos and music into books that I write. An editor once told me that those things pull people out of the story too much. I’ve also heard people say features like that are a poor imitation of movies. But visual and auditory features, embedded in text, are what the Internet is, and it seems to be doing just fine. So basically, I want ebooks to be a marriage of online content and a book. Thank you so much for spending this time with us, Esri. I know we all loved having this opportunity to get to know you a little better (and to laugh)! Just a note: Jokers & Fools is not part of the Tripping series, although it does have a Chihuahua. 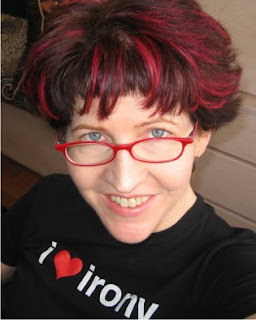 :) Great looking blog post, Cathy! Thanks so much! What a delightful character Esri is. Love her sense of humor - also love the title, "Chihuahua of the Baskervilles." Thanks for letting me know about her. I knew you'd appreciate her humor, Barbara. Glad you enjoyed the interview! Thanks, Barbara! As Hugh Grant once said, "I'm a tart for a laugh."